An ATAR, or Australian Tertiary Admissions Rank is a number all ATAR-eligible students receive after completing their Higher School Certificate. An ATAR is used to determine a student’s admission into university. This number sits within a range of 0.00 and 99.95 and indicates a student’s position relative to all other students graduating high school within their state. A student’s result should not be seen as an ATAR score, but instead as a percentile position (as it is a ranking). For example, if you receive an ATAR of 80, that doesn’t mean you received a mark of 80 percent – it means that you’re in the top 20 percent of all other students who completed the HSC (Higher School Certificate). The calculated ATAR students receive is based on their overall HSC results. Once students have applied for courses through UAC (The University Admissions Centre), universities use the ATAR to help them select students for admission into their courses. This is because the ATAR is designed to be an indication of how a student will perform in their first year of study. However, certain courses may use other forms of selection criteria (essays, letters of recommendation, interviews, auditions etc.) that are used in conjunction with an ATAR to determine which students will be selected for admission into university courses. The reason why a student’s ATAR is used for application into university, as opposed to their HSC marks – is because a vast combination of HSC subjects are studied. Meaning that, comparing a student’s overall position would be extremely difficult. For example, how would you compare Tom’s result of 92 English Advanced with someone who scored 97 in English Standard? In order to compare a student’s overall performance fairly and equitably, UAC calculates and converts this into a UAC score – then these are issued to students as their ATAR. 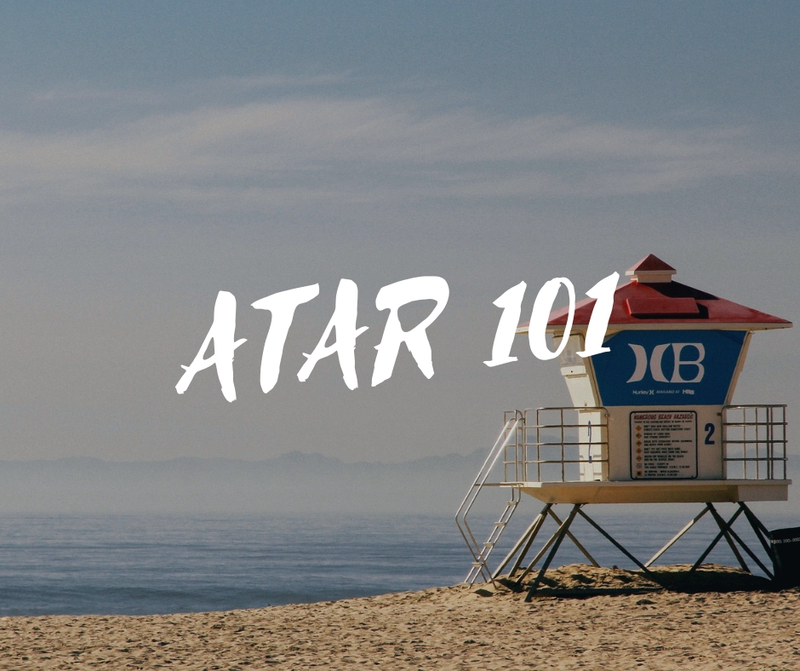 What does ATAR stand for? It stands for Australian Tertiary Admissions Rank and is calculated by the Universities Admissions Centre (UAC) based on your overall academic achievement in Year 12. ATAR is based on rank, but not performance. So if you get an ATAR of 90, it means you’re in the top 90 per cent. So how is the ATAR calculated? The ATAR is a complex system (scaling). The Universities Admissions Centre scales subjects up or down according to the performance of students in a subject in a particular year. The use of the ATAR ensures that all studies are treated equally and provides you with a common score for tertiary selection across Australia. The ATAR ranges between 99.95 and 0, the maximum rank is 99.95 instead of the 100 awarded to the best in the state. How does scaling work? Scaled ATAR score. There are many factors that impact scaling including stage of subject, scaling within your school, how the teacher marks you, also the performance of all students sitting in the exams for that particular year, etc. A predicted ATAR is an estimate of your ATAR based on your school marks. There are many ATAR calculators that you can use to estimate your ATAR. See ATAR calculators list. What is considered as a good ATAR score? For some, the highest score of 99.95 is the only score that counts, for others, any score is a justification that they have completed their HSC and have survived the process intact. The truth is an ATAR is as important as you want to make it. You can view full post about “A good ATAR score” here. Do I need an ATAR to get into TAFE? An ATAR is not needed to get into TAFE. TAFE uses a different system to determine if you can apply or if you will be accepted into a course or not – This is called CAR or Course Admission Requirements. Can I get into Uni without an ATAR? If you achieved an ATAR below 50 or do not have an ATAR, there are some other pathways which allow you to get into Uni without having one. Such as searching for a diploma program that doesn’t require an ATAR, college diploma courses that cater for low ATAR, etc. You can find out more information on our other post.